Railway recruitment board Bhopal (Rrbbpl) recruitment notice for 11814 vacancies 2014. Rrbbpl has invited the online application form for the post of helper, trackman, ticket collector and khalasi. The Last date of applying in Railway recruitment board Bhopal will be 10 October 2014. The advertisement can check on RRB Bhopal official website http://www.rrbbpl.nic.in or www.rrbbpl.org. Note: Before applying for this post, applicants please make sure that they are eligible for this post, what’s pay scale offered by Rrbbpl, application fees, mode of selection, examination date, syllabus, exam pattern and how to submit online application in rrb Bhopal. General category applicants are to pay Rs.500/- as application fees and Rs.200/- for SC/ST/backward classes. Pay scale: Here the pay scale are offering by RRB Bhopal for helper, trackman, ticket collector and khalasi posts are under group d with grade pay 1800. Applicants should at least minimum 18 years to maximum 33 year old. Only for ticket collector applicants should 18 to 30 years old. Qualification: Minimum qualification is 10th pass or equivalent ITI. Mode of selection through online written test, medical and skill test and interview. 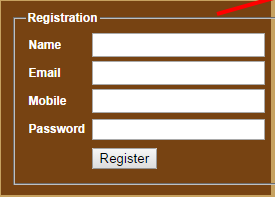 If you’re applying first time then you are to click on “Registration Form” and already registered then just log on that. Fill all the mandatory filled and submit application through debit/credit card.